Golan Formation Commander Col. Avinoam Emunah explained inconvenience serving with woman, receives male replacement. 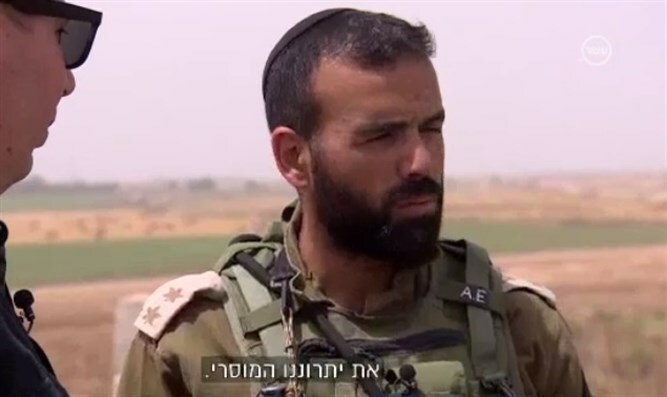 Colonel Avinoam Emunah, who entered his new post as Golan Formation Commander in July, was asked to choose a new IDF Spokesman representative to serve in the brigade. Among candidates for placement at the time were female soldiers, and Emunah explained it was more convenient for him to serve with a man at his side. Following his request, a male NCO.was appointed brigade spokesman. Haaretz reporter Uri Misgav criticized the senior officer for his decision to prefer a male soldier to a female soldier: "This is a matter of her exclusion for all intents and purposes - quiet, gray, creeping. Repeatedly, that's exactly how it works. "The IDF must decide: If it's determined to remain the army of the people, in which joint service and equality of gender roles are established, then light matters must be enforced like serious ones, even if it involves putting religious commanders in their place, no matter how heroic." 38-year-old Emuna wears a yarmulke and is married and the father of five. The esteemed officer was awarded a medal by the Battalion Commander for his performance as the Paratroopers' 101 Battalion Commander during Operation Protective Edge. The IDF Spokesman's Office said in response: "The IDF Spokesman's Unit serves both men and women as division spokespersons, and their placement is determined solely on the basis of professional considerations." A military source confirmed the Golan Formation Commander did indeed request a male non-commissioned officer as brigade spokesman but stressed that at no stage did he veto a spokeswoman for the brigade. According to him, appointing a spokesman for the brigade was made for practical reasons.